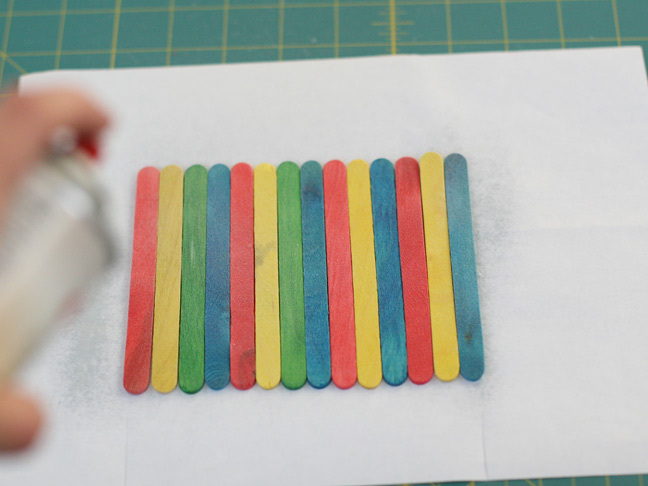 This popsicle stick puzzle is a great kids crafts for Father's Day coming up. 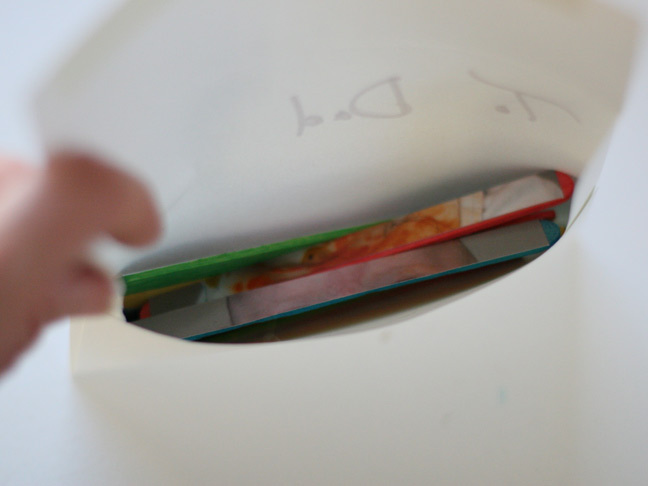 It's really simple to make with your kids as a Father's Day gift and fits nicely inside a normal size envelope as well. 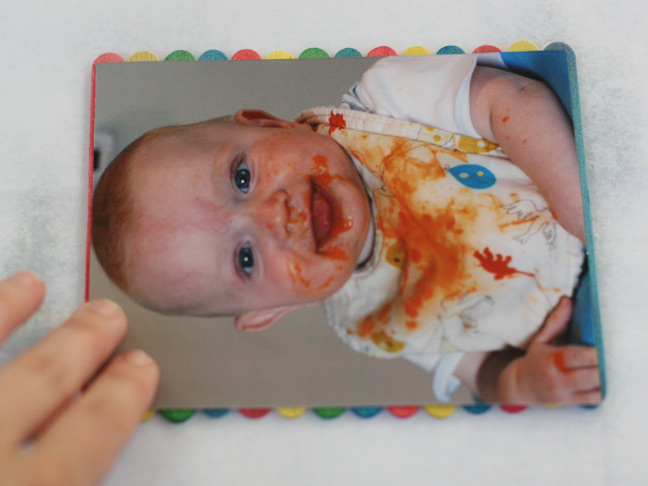 Keep reading to find out how to help your kids make one! 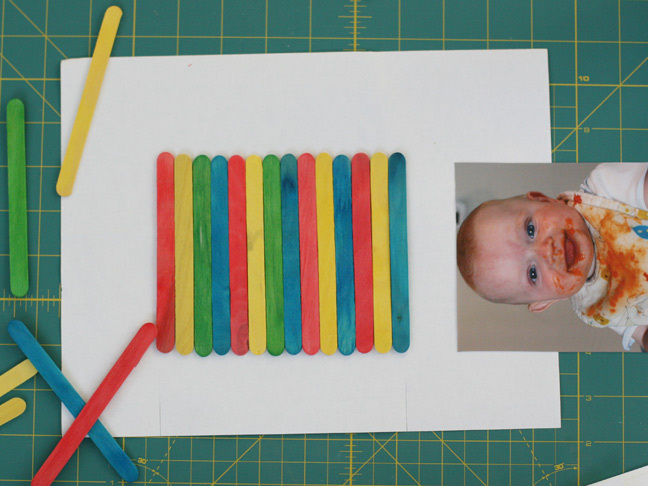 Have your child place several popsicle sticks neatly in a row on top of a piece of scrap paper. 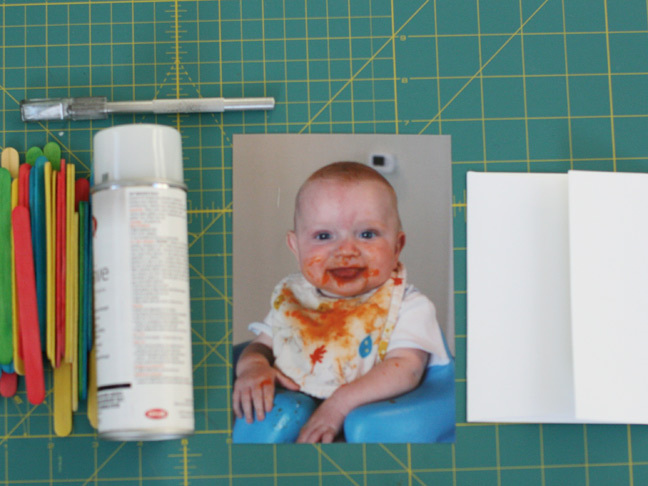 Depending on your size of photo, you may need to trim down your photo a bit so it fits pretty nicely on top of the popsicle sticks. 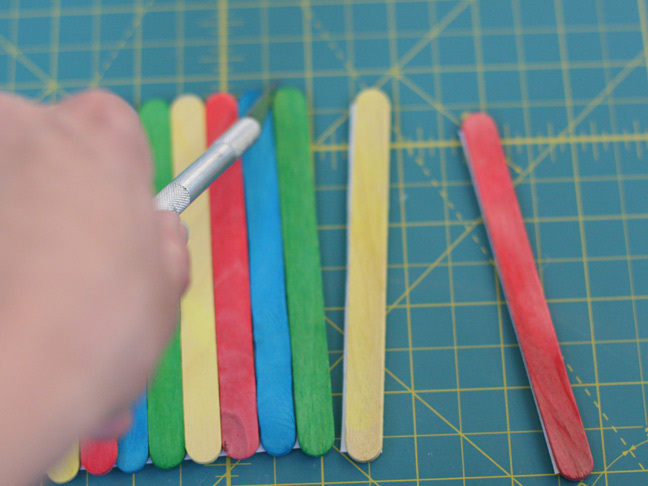 Carefully place the photo on top of the sprayed sticks as evenly as possible. 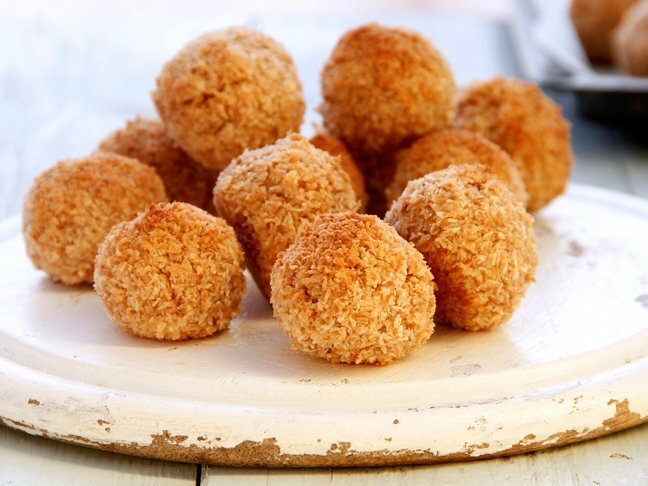 Press down on each stick gently. 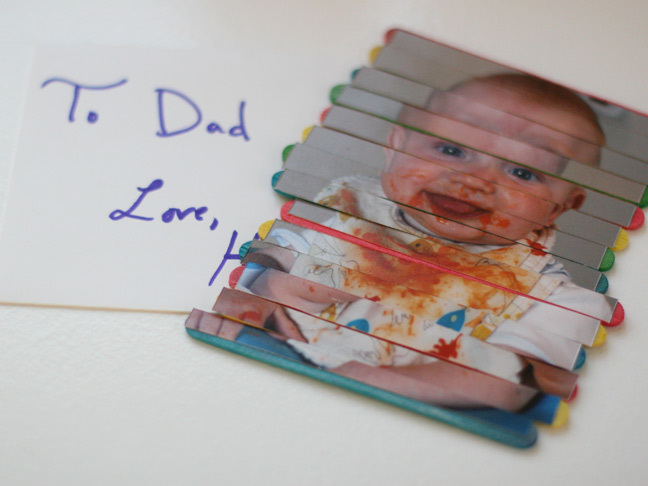 Decorate a card and place the sticks inside the envelope for him to piece together on Father's Day!